Update 16 September 2011 – From 1 November 2011 the only Mastercard prepaid debit to avoid the Ryanair admin fee will be the Ryanair’s own branded prepaid Mastercard ‘Cash Passport’. 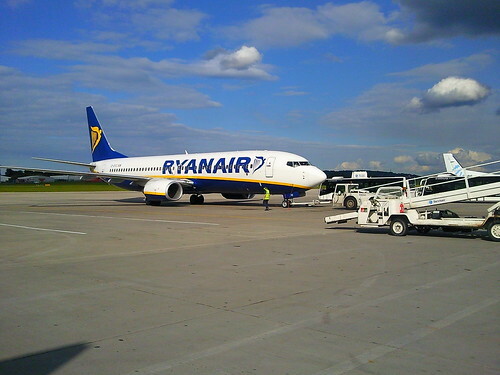 Update 20 April 2011 – The Ryanair admin fee has now increased to Â£6 per person per flight, all the more reason to get a Mastercard prepaid debit card to avoid paying an extra Â£12 per person per return flight. From 1 January 2010, the only way to avoid the Ryanair admin fees of Â£5 per person per flight, is to pay by Mastercard prepaid debit card. Until 31 December 2009 you could avoid the Ryanair admin charges by paying for flights with a Visa Electron card. It was always stated on the site that the waiving of the Ryaniar admin fees by paying with Visa ElectronÂ was a limited offer (although it was on the go for years). 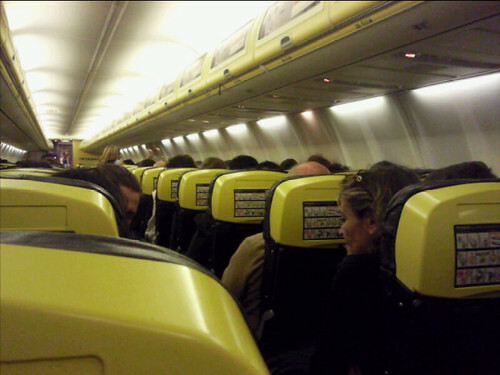 So which is the best Mastercard prepaid debit card to avoid Ryanair admin fees?Â It depends. I recommend the Fairfx Anywhere Mastercard prepaid debit card for someone like me who books very cheap Ryanair flights several times a year, where the total value of the each separate Ryanair transaction is under Â£100..Â Europe a la Carte readers who are UK residents will have the usual Â£9.95 application fee waived if they apply for the card using this referral link.Â However on the application page the initial load amount is set to Â£100, so you need to change this to the amount you wish to load before you complete the online application form.Â There is a charge of 1.4% on UK transactions. There are no loading fees if you use a debit card or bank transfer. The minimum load is Â£50. You can check the card fees and charges. The Fairfx Anywhere Mastercard is also one of my recommended debit cards for use abroad now that the Nationwide have started charging 2% on all overseas purchases and cash machine withdrawals plus Â£1 for cash machine withdrawals, the FairFX is a better deal with a lower flat fee of 1.4% on all purchases and a 1.4% charge plus a Â£1 flat fee for cash machine withdrawals outside the UK and only a Â£1.50 flat fee for UK cash machine withdrawals. However if your value of your transactions will be more than Â£100 and you buy Ryanair tickets two or three times a year then the CaxtonFX Global Card with a flat fee of Â£1.50 per transactions will offer you better value when avoiding the Ryanair admin charges. In early December 2009 I started searching for the best Mastercard prepaid debit to avoid paying the Ryanair admin fees. I tend to book the really cheap promotional fares ranging from Â£1 – Â£5 per flight several times a year. However be aware that paying by Mastercard prepaid debit card does not offer the financial protection of joint liability on purchases of more than Â£100 you’d receive if you paid by credit card. There are two types of Mastercard prepaid debit cards either unpersonalised which have a limit of Â£650 load a year or personalised which have higher limits. I decided to go for a personalised card as I wasn’t sure if an unpersonalised card would be accepted on the Ryanair site as there is usually a box on the payment page where you tick to confirm that your payment card is registered at your home address. Unfortunately I couldn’t find a card that would avoid paying the Ryanair admin charges which was totally free of cost Most Mastercard prepaid debit cards charge for one or more of the following. 1 Card application fee – free to Â£30. 2 Monthly fee – free to Â£10. 3 Transaction fee – free to 2.75% of transaction value (sometimes fixed lower and upper limit e.g. minimum of 50p maximum of Â£1.50) or flat fee regardless of transaction value. 4 Card loading fee – free to 3% of load value. 5 Dormancy fee – when the card isn’t used regularly an additional fee is charged. You have to decide how often you’ll use the card and the transaction values to decide which Mastercard prepaid debit card is best for you. For example if you book peak Ryanair flights for a family then you should look for a card with a fixed upper transaction charge as opposed to a percentage of the transaction cost. Be aware that fees and charges could be altered by the provider, usually with 1 – 2 months notice. So double check the fees I mention in this post as they may have changed since my most recent update. With my own personal card usage in mind I narrowed my search down to three Mastercard prepaid debit cards. 4 Card loading fee – free card load online by debit or bank transfer, Â£10 minimum load. 2 Monthly fee – free. NB You should apply for a CaxtonFX Euro Card if you book flights which originate in a country where they use the euro. 1 Card application fee – Â£10, f you have provided proof of identification whilst applying for the card, the card will be valid until 3 years from the activation date and there is no annual fee levied. 4 Loading fee – free by bank transfer or in cash at a Phones4U shop. 5 Dormancy fee – when the card isn’t used for more than 90 days, there’s a fee of Â£1 per month. The best Mastercard prepaid debit card to avoid Ryanair admin fees? I reckoned that I’ve spent Â£100 on 6 return Ryanair flights in the last year which would come to total of Â£60 if I paid the Ryanair admin fees of Â£5 per person per flight. Below I’ve worked out the costs of using each of three Mastercard prepaid debit cards thereby avoiding the Ryanair card payment fees. Escape Prepaid Card: Â£10 card application fee plus zero transaction charges = Â£10.00 (but possible dormancy fee if not used for more than 90 days). Therefore the best Mastercard prepaid debit card for my Ryanair admin fee avoidance is FairFX. I was put off the CaxtonFX card by the high minimum load of Â£100, the Â£10 deposit and the Â£1.50 flat fee per transaction when most of my Ryanair transactions are only for a few pounds. However if you book a small number of higher cost flights this card may suit you. One of the reasons I didn’t apply for the Escape card is that there is no facility for online ID checks, so you have to either scan your documents (I don’t have a scanner) or post in a photocopy. Also I wasn’t sure if I’d use the card regularly so might incur a dormancy fee. Again if you book high cost and/or very frequent flights this card may be the one for you. Whichever of these three Mastercard prepaid debit cards you select, you’ll save money by avoiding paying Ryanair admin fees, so it’s one of my top money saving travel tips. You have to estimate the average cost of your Ryanair flights, the number of separate transactions and the number of flights you’re likely to book over the year. to judge which is the best Mastercard prepaid debit card for you to avoid paying the Ryanair admin fees. However you should be aware for purchases of Â£100 of more, you would receive more protection if you paid by credit card, as the credit card company would be jointly responsible if there is a problem under Section 75 of the Consumer Credit Act (1974). Please read the terms and conditions very carefully before you sign up for a card. I spent hours researching these cards but it’s quite complex and there is a lot of small print. This post is based on my personal research in December 2009 and spending patterns. I’ll receive a commission if you purchase aÂ prepaid debit card through the links in this blog post. This entry was posted in Consumer Issues, Save on Travel, Travel Tips on December 6, 2009 by Karen Bryan.